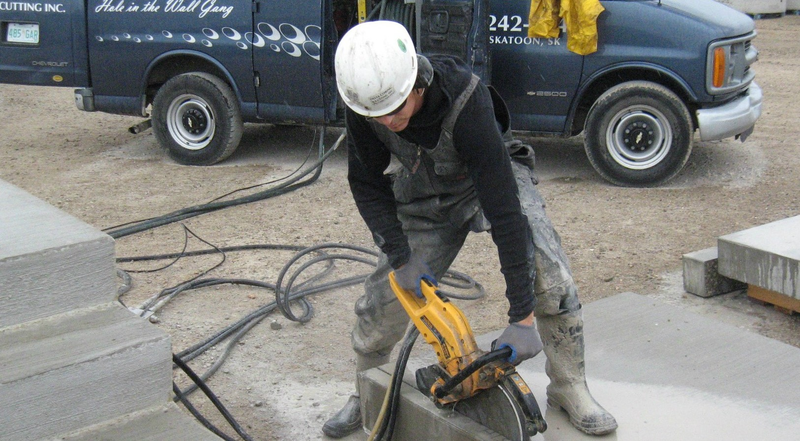 For projects that require the use of special saws to slice through layers of concrete, Delta Coring and Cutting offers its Ring Sawing services for all types of commercial or industrial jobs that require the use of superior ring saws to cut through concrete walls or surfaces with precision. All our ring saws are operated by trained professionals , and will help cut through extremely hardened and other tough surfaces that no normal drill or saw will be able to cut easily. The power-packed tools that we provide have the ability to saw through cement at an impressive speed. The efficiency of our rings saws helps to facilitate the project being completed well within the specified time limit for completion. These ring blades have an amazing cutting depth, which makes them even more perfect for your upcoming commercial project needs. We can tell you exactly how our Ring Sawing services can be advantageous for your next commercial project. Just give us a call on our office number; (306) 242-7747 and we will speak to you at length about our professional ring sawing services and the equipment we use. If you prefer, you can even get in touch with us on email. Simply send us your inquiries or project specifications to deltacoring@sasktel.net and a member of our team will write back to you with the answer to your queries.